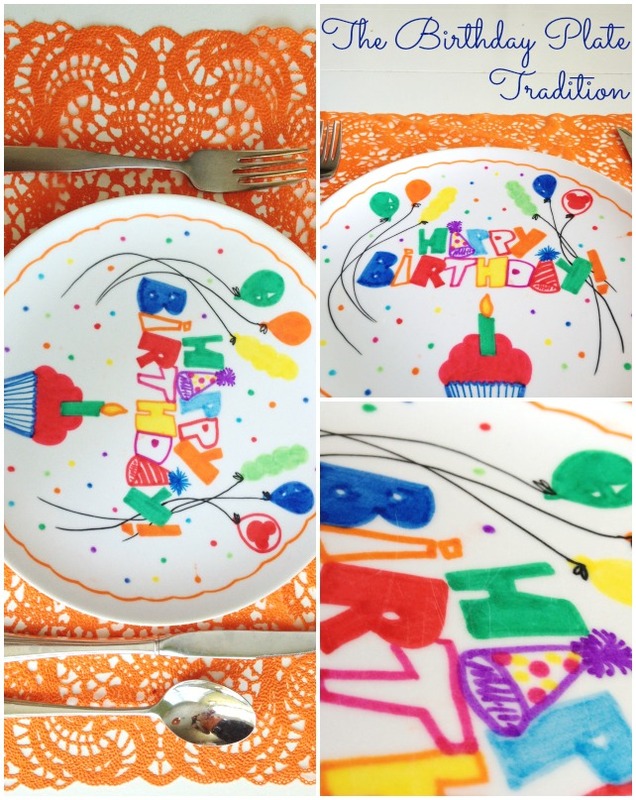 Many years ago, my mother-in-law made us this Birthday Plate, and my kids love the tradition of pulling it out on their birthdays to eat their meals. It’s a fun and simple way to help them feel extra special on their birthdays. This post isn’t really about how to make the plate, as much as it is about sharing the concept idea. I was actually going to make a plate with sharpie’s, kinda like the sharpie mug ideas that have been floating around blogland. I’d read that there were non toxic markers out there, but the guy at the craft store said that non toxic and permanent don’t go hand in hand. If anyone knows any different, please let me know! I heard about this pen, but it’s only in black, and I like colorful. I found a kit on Amazon by Makit Products which is similar to what my Mother in law used, and we’ve made a bunch of plates this way. You order the kit, color a design on paper, then send it into their company to make a plate and it will ship back to you. Do you have a birthday Plate? I’ve heard others use a special red plate, but it’s fun to spice it up a bit more, I think! 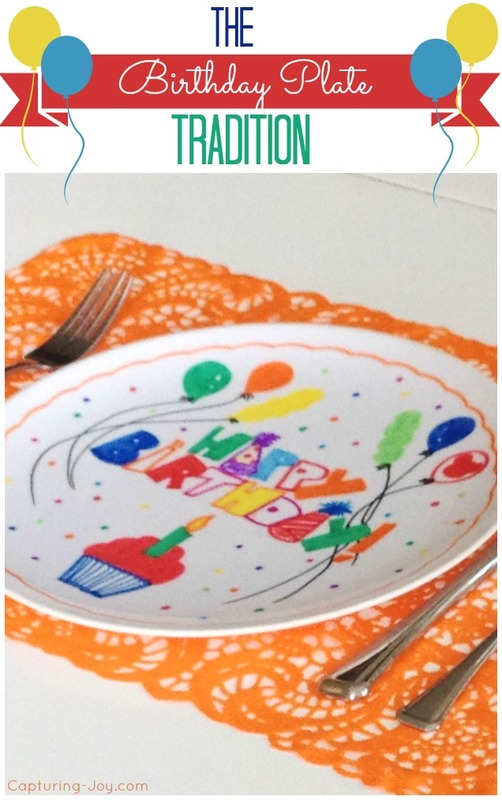 Anything is great, I love traditions, kids love it, it’s a great way to have some fun on birthdays in your family! 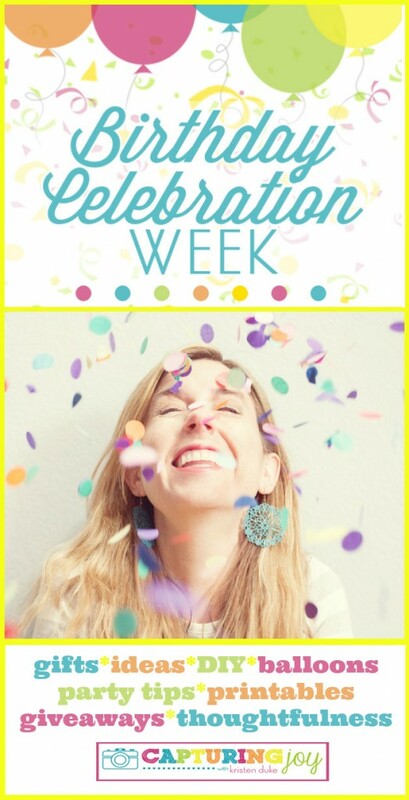 Have you seen the others posts I’ve shared as part of my Birthday Week Celebration?? All about birthdays, click on the image below to see the fun!